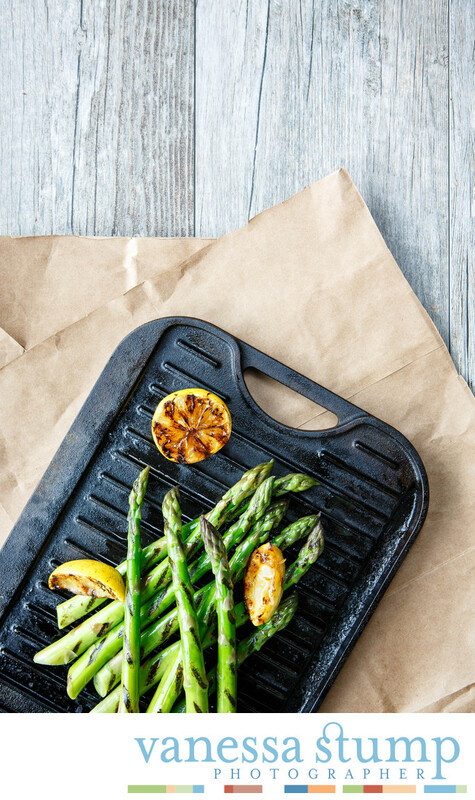 The use of rustic wood and brown craft paper as food photo styling props helped give this clean and simple image of grilled asparagus a bit of extra pop. A cast iron grill and cooked lemon add an extra hint of deliciousness to a recipe that is basically a vegetable with salt and oil. Experienced food stylists can help even the most simple ingredients look their best, which is why most food photographers always have a stylist on their team.